Bud has been licensed since 1965 and except for some minor breaks for school and work, has been a DXer and contester since he operated his first Field Day with K3JGJ. 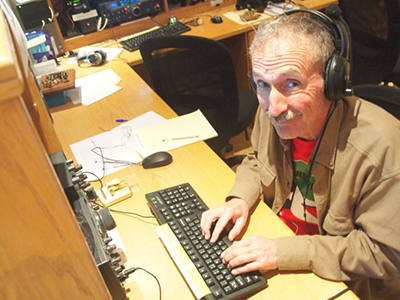 His first DXpedition was as VP2A/N7CW in 1979, with VP2A/AA7A. After retirement, he begged his good friend AA7A to let him serve coffee to the real operators in the Voodoo Contest Group. Eventually, they discovered that he could indeed copy CW and they let him take the noon shift on 160. He has been a minor part of the Voodoo contest expeditions to 9L (twice), EL (twice), 9K and PZ. Bud has also operated as ZF1A and OC4CW (at OA4TT). He was a member of the T31A DXpedition to Kanton Island. He is truly grateful to be invited to participate in this adventure.